Saving money. We’re all interested in saving money nowadays. We want to save money on our groceries. We want to save money on our electric bill. We want to save money on gas. Are we saving money though? Having an actual savings account (with money in it!) is so important to financial freedom, but it can be overwhelming figuring out how to get started. Here are 5 tips to help you truly save more money. Deposit the funds straight from your paycheck, into your savings account. Many companies allow you to split your paychecks among multiple accounts. Go ahead and set aside a percentage to go to savings immediately. This way, you don’t ever have to think about it. It will come out of your paycheck every month, just like your health insurance, retirement and taxes. Set savings goals and work vigorously to meet them. Choose an actual number goal and decide how long you’ll take to meet it. Just vaguely “saving” isn’t very enticing. Saving with an actual number in mind can help you remain focused and vigilant. Not sure where to begin? I recommend first making sure you have at least $1,000 in savings. From there, calculate what your expenses are for 6 months and work on saving that amount. Most financial experts recommend having at least 6 months to a year of your expenses in savings. Take baby steps to get there, but be sure you are working towards something realistic. When you save money, actually SAVE money. Had a $10 off coupon for that jacket you just purchased? Throw that $10 savings into your savings account. Got a gift card to a nice restaurant? Use that as a night’s meal and throw the cash you would have spent that night into savings. It’s not really saving if you just spend it elsewhere. Make your savings work for you. 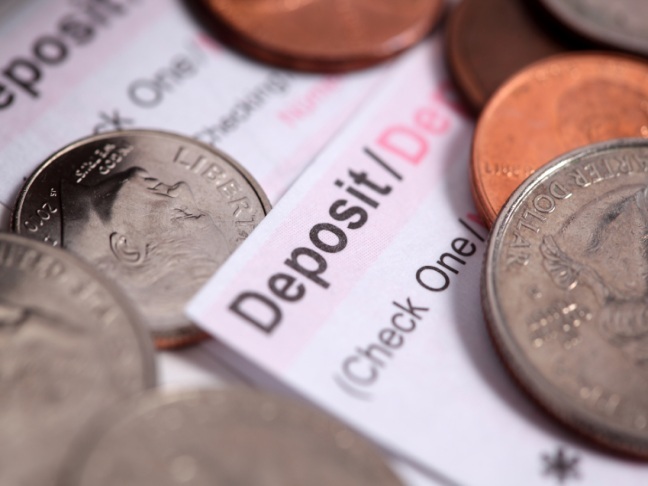 Most savings accounts offer some kind of return. The bank pays you interest on the money you have invested into their bank. Shop around and find a good rate. Look into higher earning investments (beware: these can also mean higher risk) and see if they would be a good fit. Let your money grow just because it’s there. Easier money couldn’t be made! Think about retirement as well. Learn about your employer’s retirement compensation package and see if they’ll match your contributions up to a certain percentage. Remember that most financial analysts say that the time to start vigorously saving for retirement was yesterday. Make sure you aren’t forsaking tomorrow for today. Saving money can seem daunting when you are still barely making it paycheck to paycheck. It has to be a priority though. When you have money in the bank, you can better plan for life’s ups and downs. Don’t be caught off guard the next time the car needs new tires or the baby needs braces. Start saving today!